If you follow me on Twitter or Instagram you may have noticed I had a rather exciting meeting at Jo Malone yesterday. I went to Jarrold department store in Norwich to hear all about their Christmas collection – whilst having a much appreciated hand and arm massage. I’m not going to give away all the details about their gorgeous gifts just yet, because where’s the fun in that!? Instead I thought I’d tell you a bit about what to expect this Christmas from Jo Malone, and to whet your appetite for the gifting collection with some of their amazing lifestyle images! 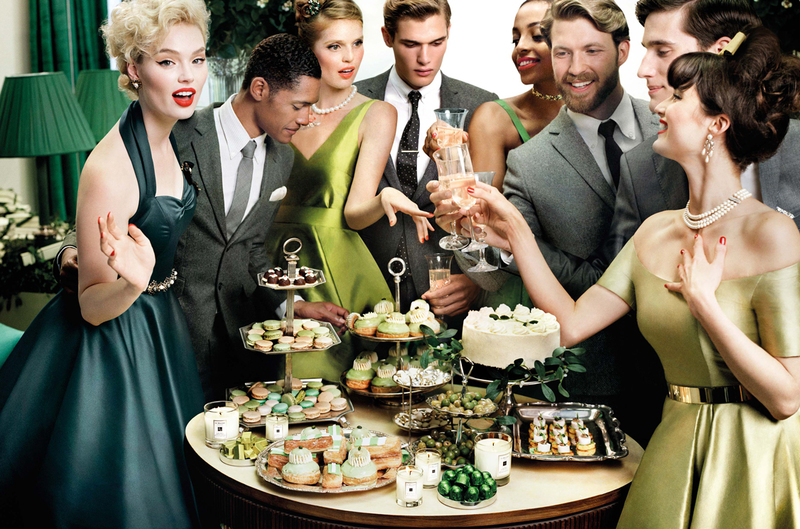 So for holiday 2015, Jo Malone have gone vintage luxe, with a glamorous 1950’s Christmas party theme. The models are dressed in fabulous 50’s party dresses, but with a modern twist. 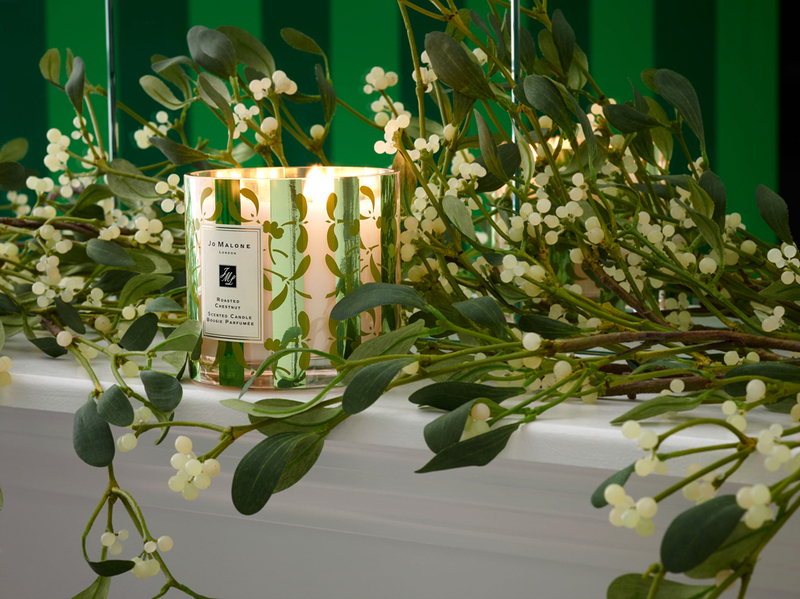 Green is also the colour for this collection, with mistletoe featuring heavily throughout, as well as green candy stripes and a pretty green velvet ribbon replacing Jo Malone’s traditional black ribbon. I had a good sniff of the beautiful Roasted Chestnut Candle, and it just smells like Christmas. This is definitely top of my wish list! 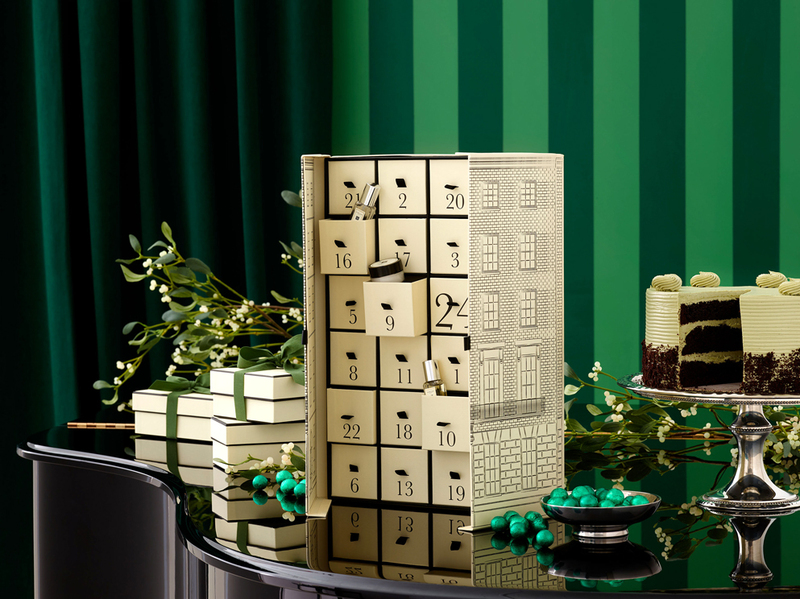 And you may have seen the amazing Jo Malone Town House Advent Calendar featured in my Every Single Beauty Advent Calendar post. Yes it is pricey at £260, but you get a fantastic selection of miniature products for every day in December until the 24th, so I think it’s definitely worth it! And lastly, what about this guy? 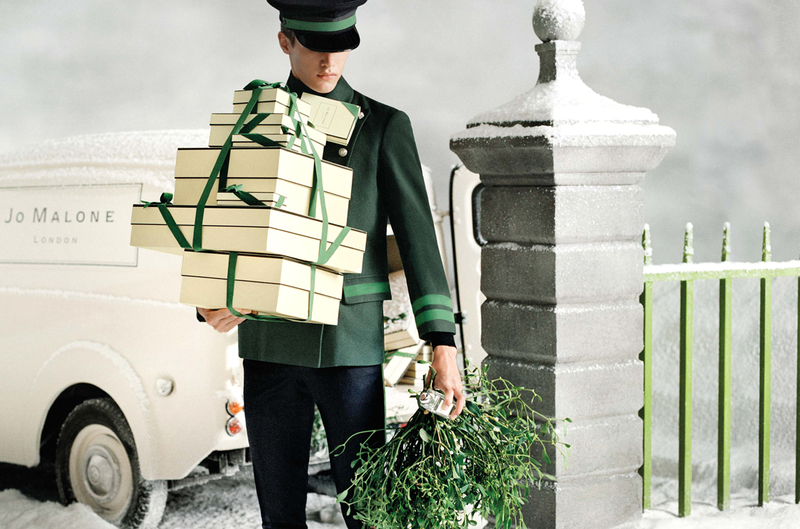 Jo Malone also offer a same-day delivery service for all your emergency give giving needs. (This is in London only though) So if you know someone that tends to leave buying presents till the last minute, Jo Malone should be able to save their bacon – in style, in the vintage Morris Minor van pictured, or a Jo Malone Vespa! Unfortunately I’m pretty sure this guy is just a model, but even so, what a fantastic service to offer! I’ll have some more information about all of the gorgeous gifts coming up soon. 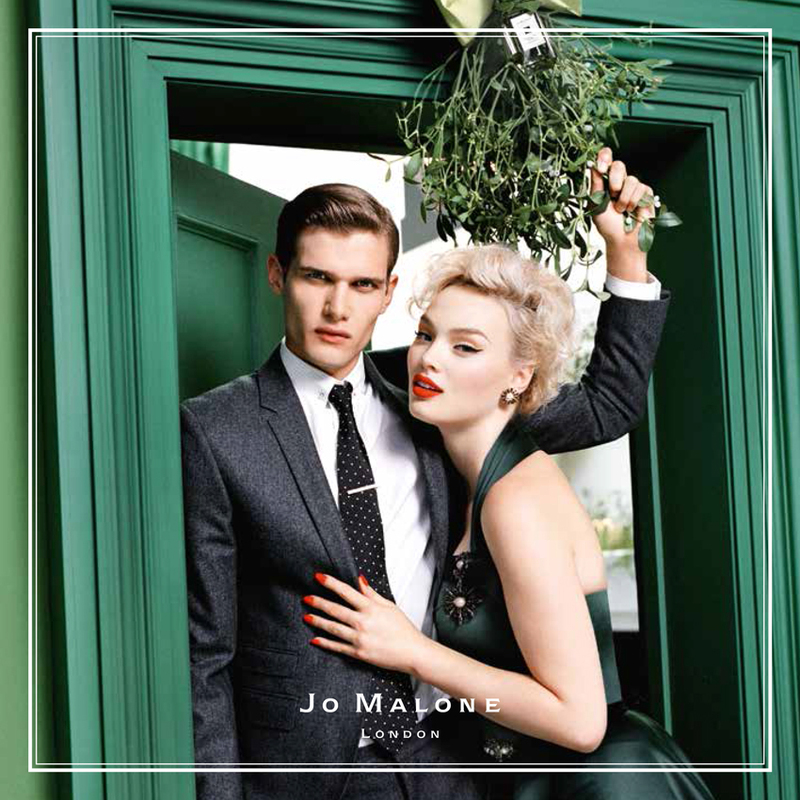 In the mean time though I’d love to hear what you think – are you a Jo Malone fan?